The trolleybus no. 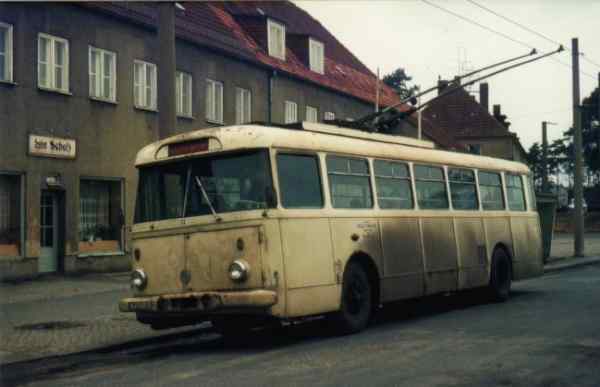 31I of the Czech type ŠKODA 9Tr14 came on 06 September 1977 from Gera and had have there the car no. 325. In the year 1984 the trolleybus no. 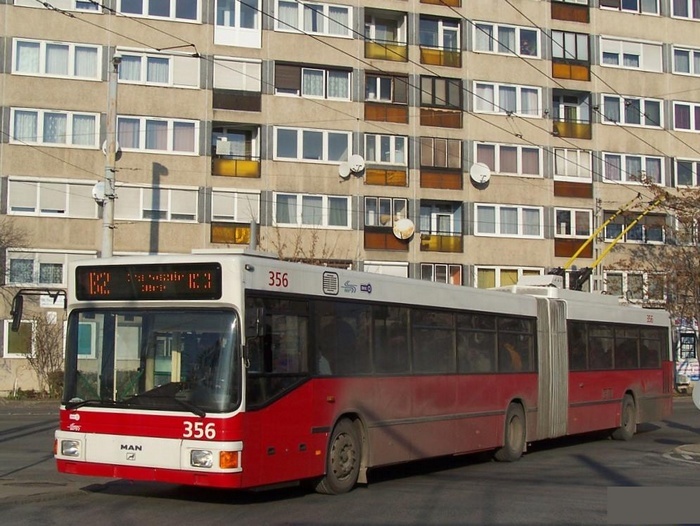 31I was renamed in trolleybus no. 19II. 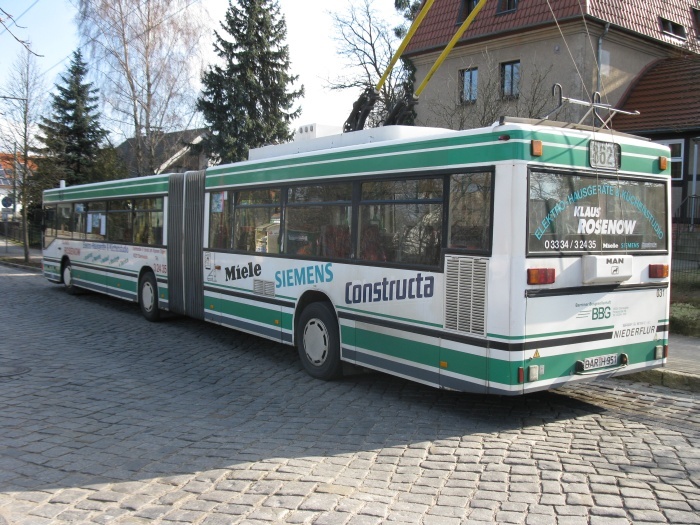 The trolleybus was scrapped in 1985. 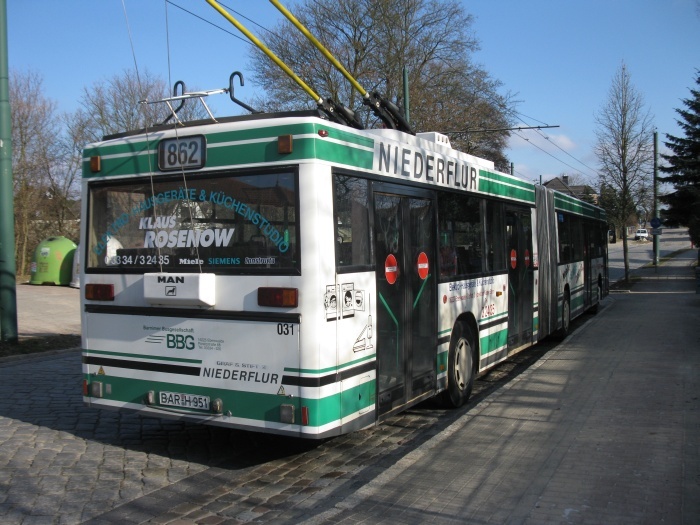 The foto show the trolleybus no. 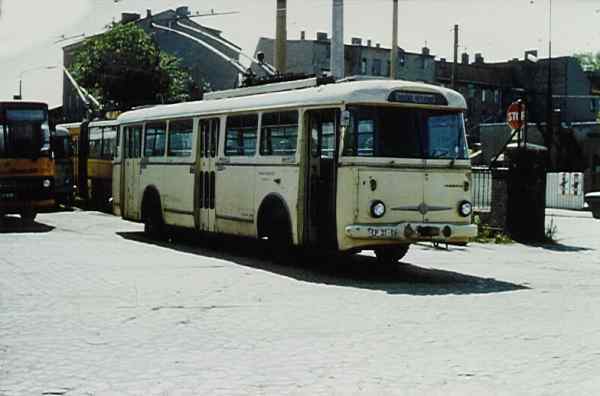 31I, later renamed in trolleybus no. 19II, of the Czech type ŠKODA 9Tr14 at the final stop Nordend. The trolleybus no. 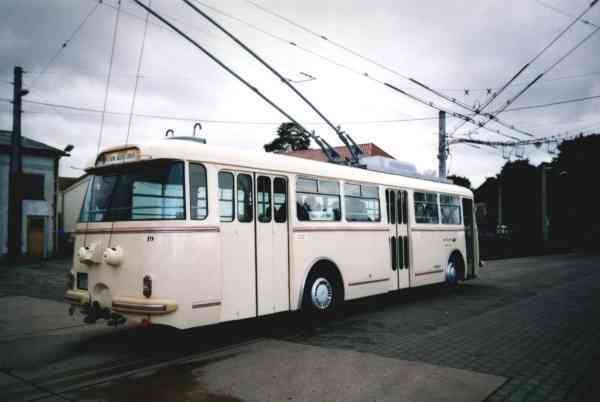 19I of the Czech type ŠKODA 9Tr14 was renamed in trolleybus no. 31II on 28 Augus 1984. 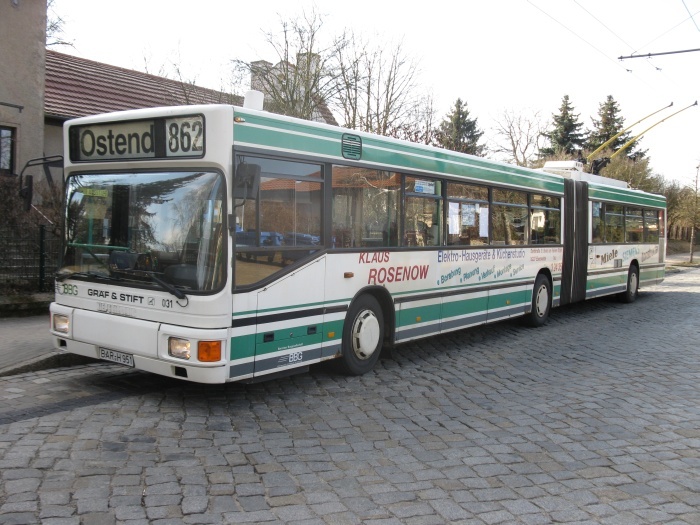 On 22 December 1988 the trolleybus was sent to the DVN Berlin as historic car and came back to Eberswalde on 16 May 1996. 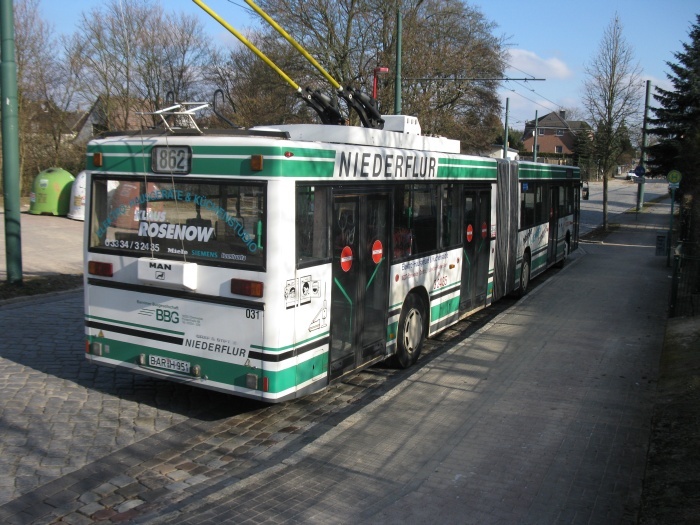 After restauration through the DVN Berlin the trolleybus was taken in service again on 18 December 1999 with the original car no. 19I. 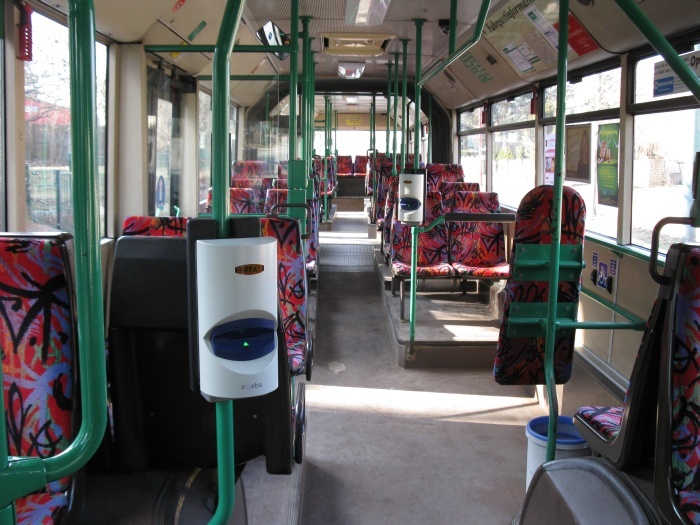 This foto show the trolleybus no. 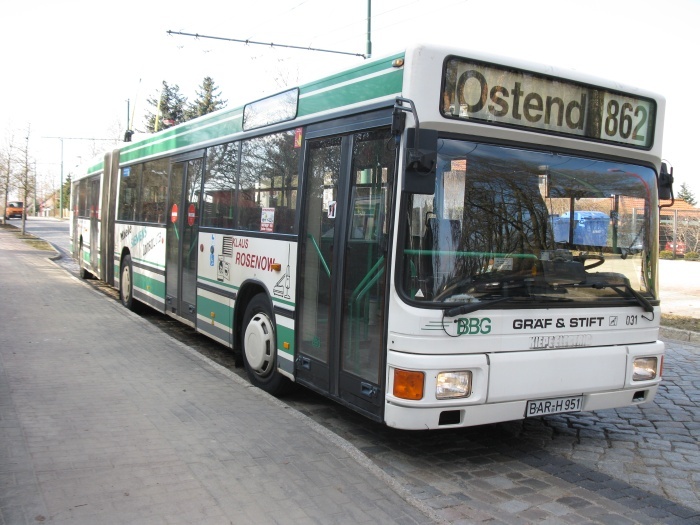 19I later trolleybus no. 31II of the Czech type ŠKODA 9Tr14 at the former depot Eberswalde/Bergerstraße. This foto show the trolleybus no. 31II later again trolleybus no. 19I of the Czech type ŠKODA 9Tr14 after the restauration at the depot Eberswalde/Nordend. 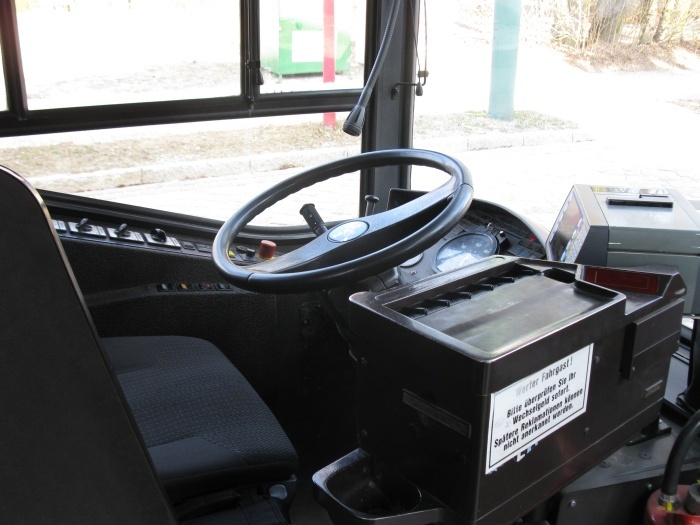 These photos shows the articulated trolleybus no. 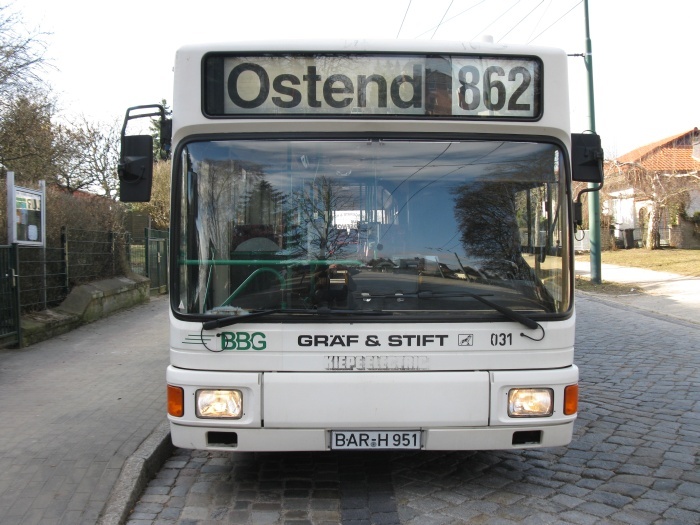 031 of the Austrian type ÖAF Grä f & Stift NGE 152 M17 on the trolleybus line 862 at the terminal stop Ostend. 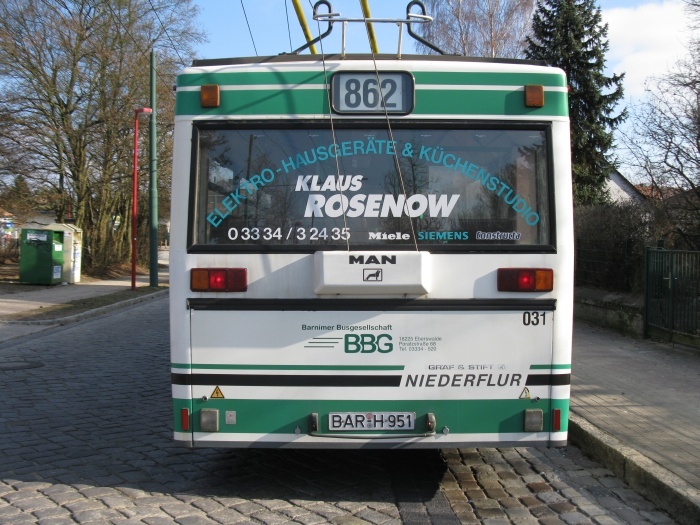 After a road performance of 860397 km the trolleybus was parked on 06 April 2011 and sold to BKV Zrt. Budapest/H. 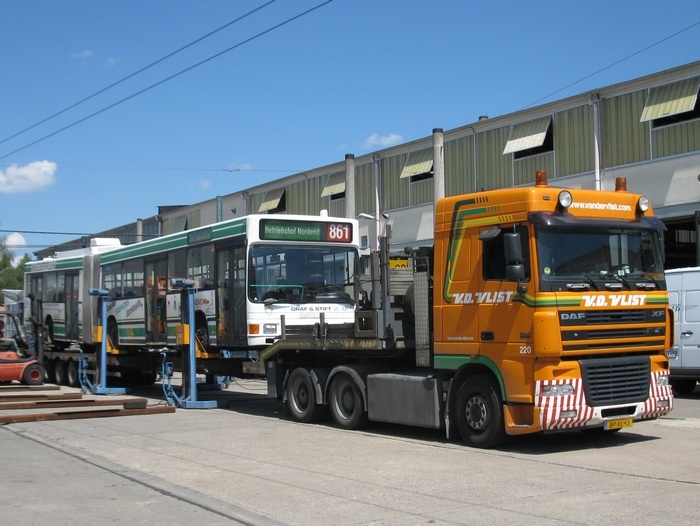 The transport by flat bed trailer to Budapest/H was on 06 July 2011. 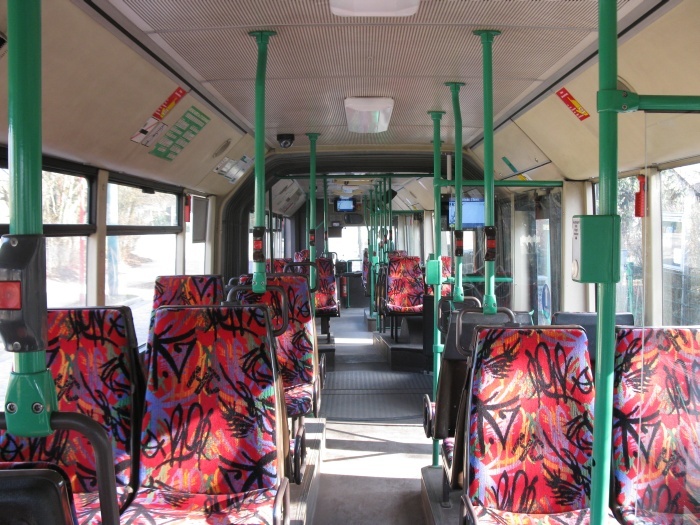 From 29 October 2012 after a reconstruction in Budapest/H the trolleybus was in the rolling stock of BKV Zrt. Budapest/H with car no. 356.